The power of changing lives one client at a time. Each case we handle is important and deserves the very best representation. You are probably viewing our website because you were injured in a car accident, or on someone's property or are the victim of medical malpractice. We handle all types of personal injury cases imaginable. Helping the injured get back on their feet and get the money they deserve from the responsible parties is all we do, day in and day out. In Pennsylvania Personal Injury Law, justice is served when we get you the money you deserve for all your medical bills, financial losses and pain and suffering! 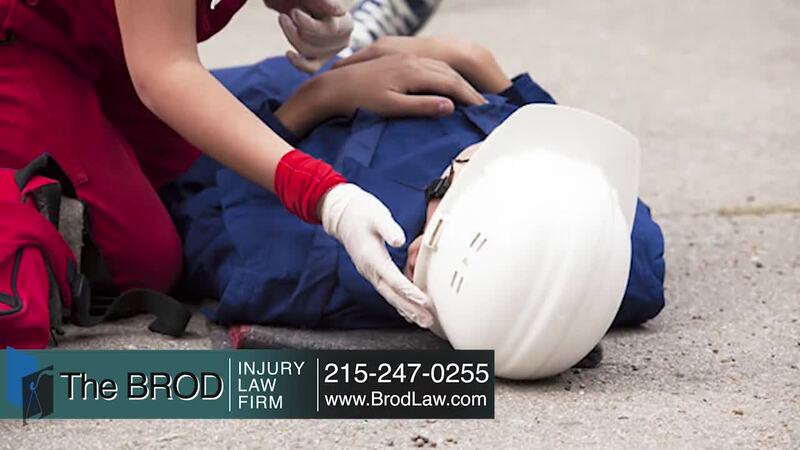 The Brod Law Firm is a top rated Philadelphia Pennsylvania Personal Injury Law Firm that represents injured victims and workers. For over 30 years our firm has consistently achieved successful results for our clients through lawsuits and settlements. This firm has a well-earned reputation for providing extremely aggressive and high-quality representation, and we know injury law. Our offices are conveniently located in Philadelphia, Reading, and Bala Cynwyd, Pennsylvania. Philadelphia Personal Injury Lawyer Gary Brod has personally represented injured persons throughout the entire state of Pennsylvania, from Philadelphia all the way to Pittsburgh, to be exact, in 53 counties to date! We will come to your home or hospital for no charge if you can't meet in our conveniently located offices. After a terrible accident or injury, you should not be left to wonder how you are going to pay for medical expenses and still make a living in order to feed your family. In an ideal world, you would be able to take the time to heal while the person who caused your accident took responsibility for paying your medical expenses and your lost wages. Unfortunately, it rarely works this way. When an accident victim attempts to represent themselves, insurance companies are known to use certain tactics at their disposal to minimize and possibly avoid paying claims altogether. More than likely this type of contact will result in your causing serious damage to your accident injury claim. Attorney Gary Brod has decades of extensive experience resolving claims successfully with all the insurance companies in Pennsylvania and many others Nationwide. Not all insurance companies are the same and it is crucial to the success of your case that your attorney has the knowledge to know how to deal with each one from the outset. Without the leverage of a skilled personal injury attorney to protect your rights to put needed pressure on the insurance company to pay the claim, you may be left with nothing. Unlike some firms advertising with a paid spokesperson or the head of the firm who may no longer be involved in handling cases and then hands your case over to a young associate, top rated Pennsylvania personal injury lawyer Gary Brod will be involved in handling your case from the very start. His goal is to vigorously pursue your personal injury claim and obtain the best result possible. Gary Brod has over 30 years of personal injury case experience and has a well known reputation for success. Gary has an understanding of the law that only years of experience can provide. IMPORTANT: If you were going to have surgery would you trust it to a potluck choice? Of course not. Choosing the right attorney can make the difference between not receiving anything or how much money you recover. Our focus is to help you cut through the maze of the legal and medical system. Many clients need a great deal of help dealing with their doctors, treating physicians, insurance companies and employers on their road to recovery. If needed we will help with the research for your choice of top medical specialists. No one expects to be in an accident. Making a bodily injury claim can be confusing and intimidating if you are not informed of your legal rights. The greatest heartbreak happens when folks have come to me after they have taken actions which can seriously hurt their case or in some cases prevent them from being able to pursue a legitimate serious injury case. The best advantage is to have an attorney as early as possible to guide you through this complex process is to help you avoid the three biggest mistakes that can destroy your claim. Nothing is more important to us than making sure your rights are fully protected and that you are treated fairly and with dignity and respect. We represent those in need of a personal injury lawyer throughout Pennsylvania and have years of experience getting our clients the money they deserve to hold those wrongdoers responsible and be fully compensated. Don't settle for less than you deserve. Shouldn't you have an experienced personal injury trial lawyer on your side? Call Gary Brod anytime at 888-435-7946 (888-HELPWIN) for an immediate free no obligation telephone consultation and explanation of your legal rights. We have the option of an easy phone sign-up process and we can begin work today. We want to hear your story and would be honored to review your case and to fight vigorously for you to obtain the results you desire. Dealing with insurance companies after an accident can be confusing, overwhelming,and frustrating, especially while being injured. We take great pride in cutting through the red tape and lifting all your burdens so you can put your life back on track. Are You a Victim of Medical Malpractice? Call Now for Free Consultation With an Attorney For Your Legal Rights. We Are Here To Help You.